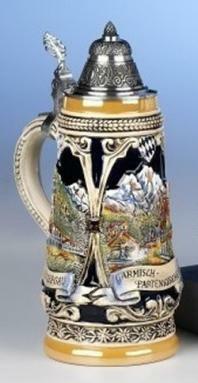 Stoneware, raised-relief decoration. 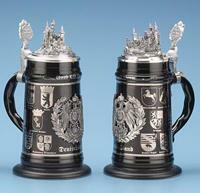 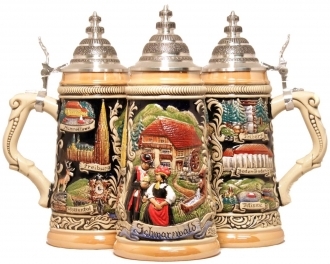 This stein features the most popular landmarks of Germany: Neuschwanstein, Munich, Rothenburg, Heidelberg and Berlin. 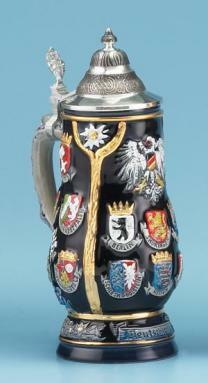 The Imperial Eagle is in the foreground. 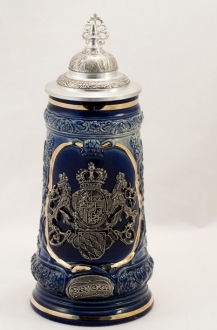 An antique blue and cobalt color combination distinguish the piece and a conical pewter lid completes it.